For all you 90s kids out there (as well as all you Disney Channel fans) who have yet to hear the good news: the Disney Channel is celebrating its 100th original film next month with a four day, non-stop marathon of some of the network's best films. Everything from Brink! to High School Musical and more will be airing during this four day nostalgia party, and in honor of this great news, we have decided to do a countdown of our favorite Disney Channel original movies. To first set some ground rules: Disney Channel original movies differ from Disney Channel premiere films, which ended its run in 1997, so sorry Susie Q and Wish Upon a Star fans, those movies do not qualify for this list. Get your popcorn cooked, and get ready to circle your favorites for the four day marathon, because we are counting down the best Disney Channel original films. Here are the 16 Best Disney Channel Original Movies! Synopsis: Four friends form an all girl musical group and try to become the first freshmen to win their school's talent show. In the process, they are approached by a big-time record producer and soon become tested by the temptations of fame. Why it's one of our favorites: The Cheetah Girls is a classic coming of age tale about knowing who your true friends are. Also memorable is the great music that Disney always delivers on. Both independence and diversity is celebrated in this Disney Channel original classic. This film encapsulates all of the best elements of Disney Channel programming: great music, a good message, and cheesy fun. The choreography is energetic, and the songs are catchy enough to have you singing along before the final chorus. Not to mention, Raven was basically Disney Cannel royalty during the late 90s, early 2000s, starring in everything from That's So Raven to Zenon: Girl of the 21st Century. Synopsis: An African-American family are surprised when their South African exchange student turns out to be white. Why it's one of our favorites: While The Color of Friendship is one of the more serious Disney Channel original movies, it is also one of the most well made. The film takes on a much more serious tone than the others on this list, but that is not necessarily a bad thing. The Color of Friendship showed audiences (young kids especially) that racism still exists, and that friends come in all shapes and sizes. Sometimes it is easy to judge a book by its cover, but this Disney Channel classic proves that we should work to get to know people before forming opinions. Additionally, this gem went on to win a Primetime Emmy for Outstanding Children's Program. Synopsis: A thirteen-year-old swimming star has everything going for him – friends, family, athletics, and even the attention of his crush – but his life gets flipped upside down when he finds out that he is turning into a fish. Why it's one of our favorites: Disney has cranked out some unusual, yet pretty fun premises in the past, and The Thirteenth Year is yet another prime example of that. A 13-year-old boy becoming a fish is truly something that you could only see on the Disney Channel. Sure, change doesn't always come easy, but becoming a Mermaid – Merman actually, sorry – looked like a fun ride in this movie. Sure, Cody grew some fins, but his true friends and family stuck by his side to help him figure life out. We all hoped to have a support system as good as Cody's, and it made puberty seem like a breeze. Synopsis: Andrea decides to challenge societal norms and become the only girl in the sport of professional Motocross. She takes the league by storm, but what is not yet realized by the other competitors, is that Andrea is actually impersonating her twin brother Andrew. Why it's one of our favorites: Not only did Motocross look like incredible fun, but Andrea was a great female character to cheer for. She never gave up and never took no for an answer. Andrea put her family first, and was not afraid to play with the boys. Motocrossed was one of the original Disney Channel movies that displayed a female breaking barriers and defying molds. This may have become an old, reliable trope for their writing team in later years, but it was very well utilized in this film. Synopsis: Five misfit high school students meet in detention and unwittingly form a band. In a school where sports are everything, these teens work to challenge the establishment and win the coveted "Rising Star" competition. Why it's one of our favorites: Much like The Cheetah Girls, this Disney Channel original feature showcases some fantastic music. While many millennials may argue that the network's original programming has seen a decline in recent years, Lemonade Mouth is a direct argument against that. This film harkens back to some of the better original movies that the Disney Channel has offered us over the past couple of decades. While this film may feel like one you have seen before, it offers plenty in the way of surprises, and the narrative (especially early on) is fairly well constructed. Overall, Lemonade Mouth contains all of the right elements to be a quality Disney Channel film. Synopsis: Frances works to clear her name as a troubled teen due to a series of pranks taking place throughout her hometown. When she finds out that The Boogeyman is the one causing trouble, she enlists her younger brother's imaginary friend to help. Why it's one of our favorites: This film was actually scary as a young child. It was so scary in fact that it was actually pulled from the regular rotation of Disney Channel original movies. If you are hoping to catch the film on the network at some point, then you are going to have to stay up pretty late, as it only plays after midnight now – which is a shame, because it is a really fun film. While the premise may sound a bit out there, this film excels at well-paced storytelling and pulls together a nice little twist at the end. Don't Look Under the Bed feels much different than some of the other entries on this list, but still maintains the spirit of what a Disney Channel original movie should be. Synopsis: A teen pop sensation overhears a female vocalist at a camp for talented musicians. He soon begins a search in order to find the source of the beautiful music, but little does he know that the voice belongs to one of the camp's kitchen workers. Why it's one of our favorites: Yet another more recent original makes the list with Camp Rock. Demi Lovato may be a household pop star now, but we heard her belting out those high notes first on Camp Rock. Much like Lemonade Mouth, this movie is chocked full of great musical numbers, and is a true tribute to some of the better movies from the network's library, while still maintaining its integrity as a separate entity. This film is a lot of fun, and a few of these songs are sure to get stuck in your head. Also, for any musicians tuning in, Camp Rock seemed like a great place to spend a summer or two. Synopsis: When the Stevens family wins an all-expense-paid vacation to an island paradise, they take the opportunity to relax and bond as a family. Little do they know however, that they are unwittingly taking part in a reality, survival television series. Why it's one of our favorites: Firstly, Even Stevens is one of the greatest sitcoms that the Disney Channel had to offer in the late 90s and early 2000s. Louis Stevens, as played by Shia LaBeouf, was one of the funniest and most unique characters on the network. As the black sheep of his family, Louis was always acting out and getting himself into trouble, and this movie was no different. The show was one of the programs on the Disney Channel that adults and kids alike both enjoyed tuning into. Even Stevens was truly original and hilarious, and the film kept the spirit of this fan favorite series alive. Synopsis: Kelly is an easygoing high school student with a loving mom, and her mother's more strict, yet well-intentioned new boyfriend (who she respectfully refers to as Sir). Kelly's life suddenly takes a 180 degree turn when she finds that she is moving from Manhattan to upstate New York... and oh yeah, she is enrolled in military school. Why it's one of our favorites: Cadet Kelly is simply a relatable film. Okay, so maybe we did not all go to military school, but themes of growing up, experiencing change, and being the new kid are certainly relatable. Seeing these two young stars – Duff and Romano – clash on screen together was a lot of fun, and it the setting for this film added a unique spin on this timeless story. Also, Hilary Duff and Christy Carlson Romano were two of Disney Channel's biggest stars at the time. Duff was busy on her successful series Lizzie Maguire, and Romano was starring opposite Shia LaBeouf on Even Stevens. Romano would also go on to voice the titular character on the hit animated series Kim Possible. Synopsis: Kyle is one of the most popular students in the whole school and the star basketball player. His luck is about to change, however, when he decides to take a deeper look into his heritage for a school project and loses his lucky coin, he finds that his fortunes take a turn for the worst. Why it's one of our favorites: The Luck of the Irish was truly one of the only Disney Channel original films to delve into a sense of heritage, and what it means to stay true to one's history. That really worked to make this movie a memorable experience. Also, the sports angle that the narrative took was well utilized in this film. Working in traditional Irish games into this story was truly a unique way to set this film apart from the others in the network's catalog. Humor was well-placed and well-timed, and the basketball scenes were simply fantastic. Synopsis: A young surfing phenom is startled to find out that his family has decided to leave the sunny beaches of Hawaii. Johnny trades in his surfboard for a snowboard when he finds out that he will soon have to call Vermont his home. 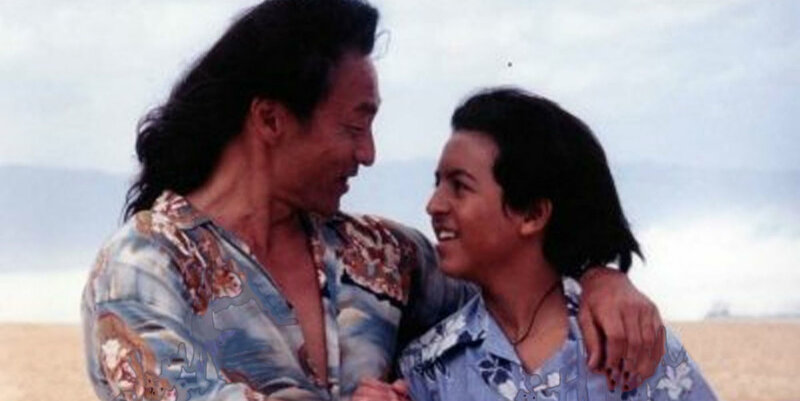 Why it's one of our favorites: Johnny Tsunami is one of the classic Disney Channel original films. It was so good in fact that Disney had to come back to this character for a sequel, Johnny Kapahala: Back on Board. The cast of this film featured some of the Disney Channel's biggest stars at the time – Lee Thomson Young and Kristen Storms. The movie showcased two very unique settings and really conveyed how tough it can be to be the new kid in school (even if you are a young up-and-coming surfing superstar). Both surfing and snowboarding looked like something we all wanted to start doing after watching Johnny Tsunami. Synopsis: Zenon is a young girl with a knack for getting herself into trouble. Also, she lives on a space station. Living in the year 2049, Zenon's worst fears are realized when she is forced to stay with her aunt. . . on Earth. Why it's one of our favorites: Zenon: Girl of the 21st Century still stands as one of the most imaginative Disney Channel original movies to date. Zenon had her own slang, her own unique style, and featured one of the most memorable fictitious pop stars in all of film, Proto Zoa. Audiences were transported to a new world entirely at a time when Disney truly encouraged their audience to use their imagination. Watching Zenon makes moviegoers hopeful that bright, tech-filled future awaits us in just 23 short years. Synopsis: Andy "Brink" Brinker is forced to take a skating job with the Team X-Bladz, led by his rival Val, in order to make money after his father is hurt on the job. X-Bladz goes against everything "Brink" and his friends believe in, but is it worth it to make a few bucks? Why it's one of our favorites: Andy "Brink" Brinker is one of those likable characters that even at his worst moments, we are still cheering for him. "Brink" always had the best of intentions and was an awesome soul skater. The film inspired many young kids to pick up the sport and simply made it seem like a lot of fun. Brink! encouraged us to do what we love and taught us to always remember who our friends are. Some classic, Disney Channel original movie, cheesy moments are sure to be found, and Brink! holds up as one of finest that the network has to offer after all of these years. Synopsis: The Cooper family wins the house of their dreams. Virtual reality, instant breakfast, and easy cleaning are just a few perks of this state of the art home, but Ben and the rest of his family soon realize that there are a few bugs to work out. Why it's one of our favorites: The best part about Smart House is how amazingly cool and imaginative the titular house actually was. We all wanted to live in this amazing hi-tech home that made life just a little bit easier. With the new millennium right around the corner, this incredible technology felt so close to being within our grasp. Expectations for the future were sky high, and Smart House encapsulated those feelings perfectly. We would have been hard-pressed to find the desire to go outside, or leave the house frankly, when everything we ever wanted could be found within our own home. Synopsis: Troy is the star basketball player with East High wrapped around his finger. Gabriella is the brainiac new kid who never quite fit in. Both of their worlds collide when they realize that they are natural singing talents. However, the rest of the school does not see things the same way. Why it's one of our favorites: The cast alone puts High School Musical among the pantheon of great Disney Channel original movies. Zach Efron, Vanessa Hudgens, and Ashley Tisdale went on to become household names, more or less because of this film. Not to mention, at a time when ratings for Disney Channel original films were on the decline, High School Musical helped bring these titles back into the public consciousness. The film was so successful in fact, that it went on to spawn two sequels, the last of which actually premiered in theaters. There is rumblings of a fourth installment which is now casting, but as of right now, any details on the film's story or characters is unknown. Synopsis: Life is always a bit too typical for Marnie and the rest of the Piper family. Halloween is a taboo word, and anything slightly abnormal is out of the question. The only true excitement in their lives is the occasional visit from their grandmother, Aggie. She tells the kids a story about this magical land called Halloweentown. Aggie claims that it is all a story, but Marnie soon finds that it is more real than she had ever imagined. Why it's one of our favorites: Halloweentown succeeded in transporting audiences to a truly unique, brand new world. The characters, costumes, and set pieces all worked together to create this fantasy-like setting and experience. Marnie and the rest of the Cromwell clan felt like very believable characters and the story really opened up an entire universe of possibilities. Halloweentown in October quickly became tradition, and the film is often hailed as one of the best, if not the best, of all the Disney Channel originals. Like many of the other greats from the Disney Channel, Halloweentown inspired a few sequels, including one title that almost cracked this list, Halloweentown II: Kalabar's Revenge. Honorable Mentions: There are many great Disney Channel originals, but we had to stop the list somewhere. Here are a few of the movies that just missed the cut: Jett Jackson: The Movie, Ally Cats Strike, Genius, Miracle in Lane 2, Double Teamed, Wizards of Waverly Place: The Movie, and Halloweentown II: Kalabar's Revenge. What are your favorite Disney Channel original movies? Which of these films make your lists, and are there any that we missed? Make sure to let us know in the comments section below.